We lost Joshy just 27 days before his 9th birthday. Those were the some of the saddest days of the saddest year of our lives, but so much love was shown to us. Losing a child forces lessons on parents, siblings, and friends. We realize that life is short and tomorrow is not guaranteed. The little moments with our children matter more than anything. And telling someone you love them shouldn't wait. As we mark our first whole year without him, we'd like these next few weeks to be filled with love. Tomorrow, 7/7 through Josh's birthday, 8/3, we'd love it if you'd join us in spreading joy and love by sharing how you stay present in the moment, share your love, or spread kindness, using the hashtag #ThisIsForJosh on social media. Joshua Kaye died on July 7, 2014 after a 13-day battle with E. coli. He would have turned 10 on August 3, 2015. 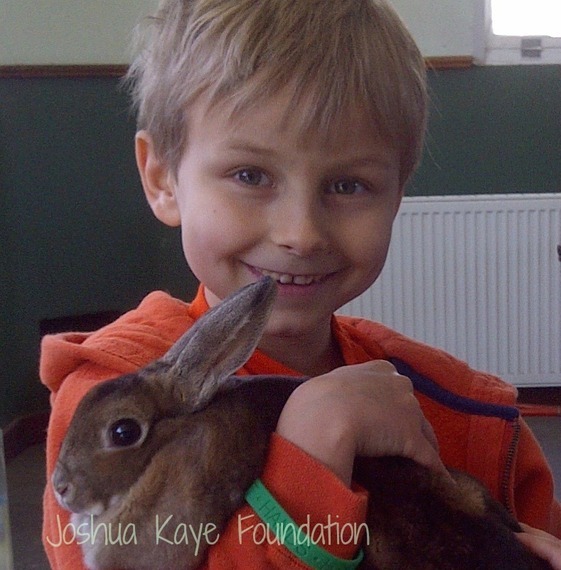 Joshua's family founded Joshua Kaye Foundation, which celebrates Josh's kindness, creativity and curiosity by funding thoughtful projects that include children, animals, the arts, and nature.